Observation - Nematomorpha (?) - UK and Ireland. 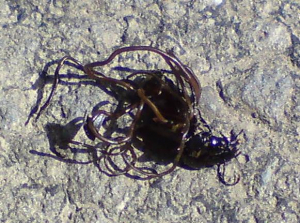 Description: a very dead Carabidae sp with a payload of worms! a very dead Carabidae sp with a payload of worms!